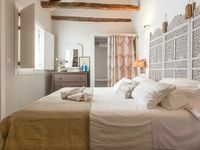 Property 6: Apartment near Plaza Mayor, free wifi, air condition. Property 13: Chueca along Gran Vía. Bright and with views. Property 15: Design loft with views, open space causing different emotions. 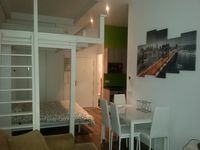 Property 30: MADRID-SOL-GATE PLAZA MAYOR, New Apartment, Comodo, modern design. Property 36: Bright and quiet apart in Madrid City Center. Property 40: ILAIA MADRID PALACIO. Special price in August.